Being no more a secret of the Cyclades, tiny but scenic Paros is quite a popular destination now. Fortunately, despite its size it has many beaches to welcome the increasing number of tourists, and the coastal road which encircles the entire island provides easy access to all of them. 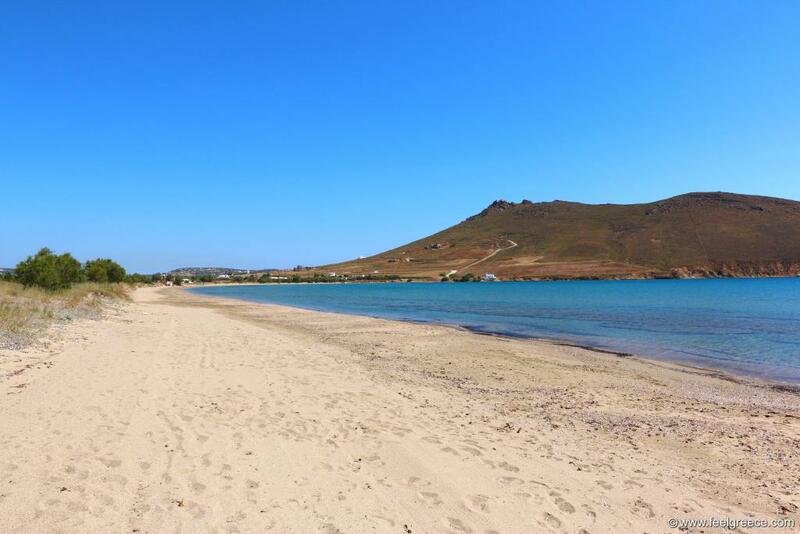 If bored from the fine soft sand which covers most beaches on Paros, you can find tranquil pebbly coves as well. There are beaches with and without facilities, beaches with and without water sports, and some south meltemi-exposed beaches are renown venues for surfers with schools - Pounta for kite surfers and Golden beach for wind surfers. 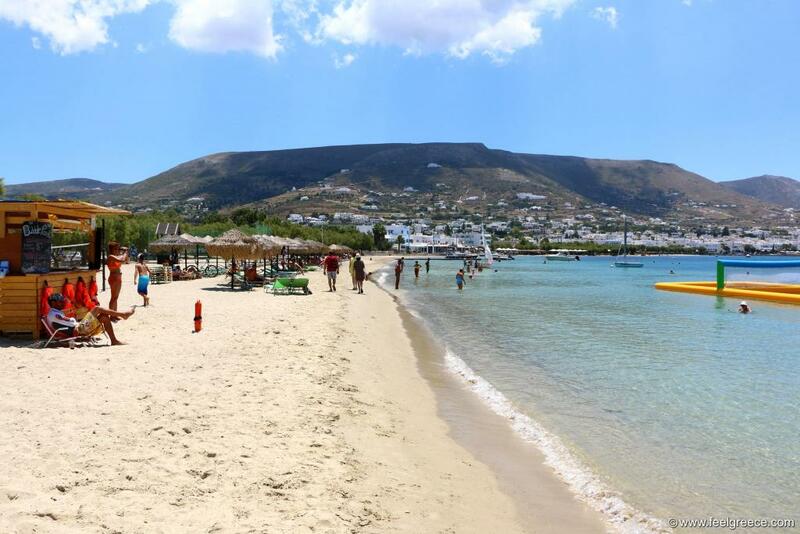 Rating the beaches on Paros is a bit subjective, as it always is with top- and best-rankings, so we tried to create a mixture of the most popular and the most distinctive swimming and sunbathing spots to visit and fit it into 10. Ready, steady, go! 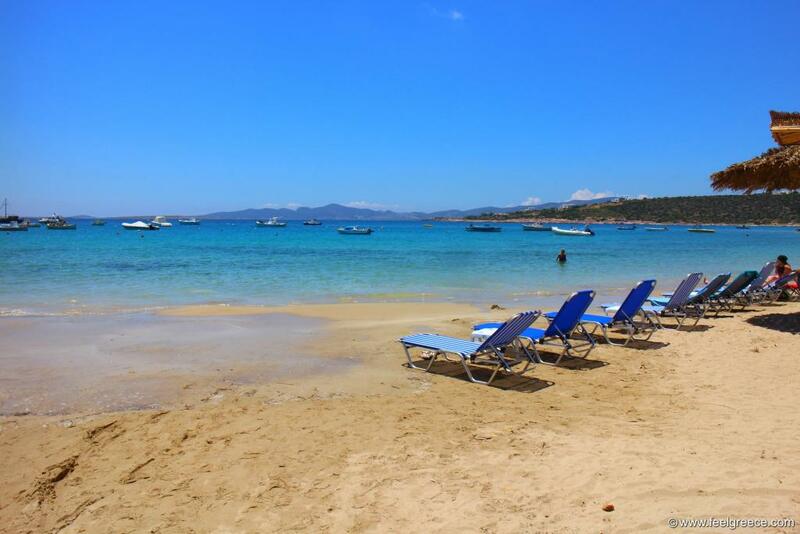 Soft sand, shallow sea, boats and yachts in front of your eyes and everything you need at a stone`s throw. This is the central beach of Aliki and right next to a couple of superb beach tavernas drying their octopuses in the sun. 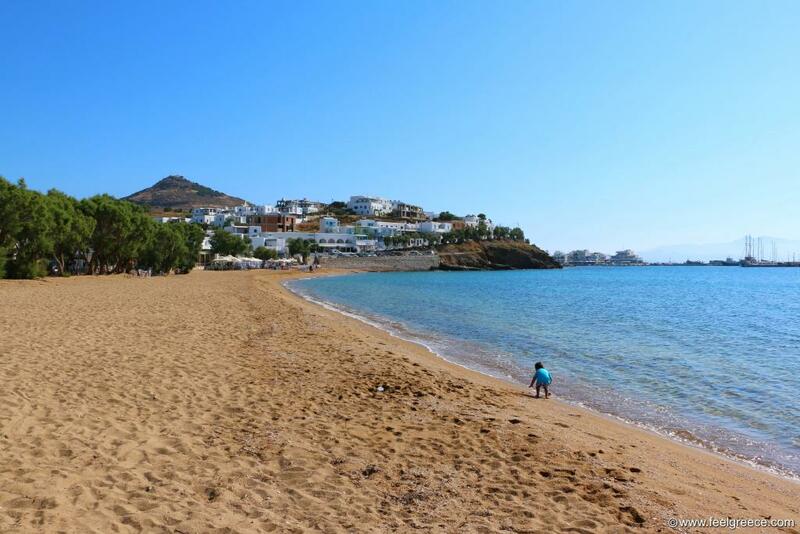 If the place seems crowded to you (although it is not very popular), go to Piso Aliki or Agios Nikolaos, two pebbly beaches from both sides of the village where you can spread undisturbed. Livadia is the main beach of Parikia, located in a gulf and overlooking the capital. This is the most kids-friendly beach of Paros because usually there is not a single wave here. It is as sandy as required for nice sand castles, organized with parasols and sunbeds plus inflatable facilities in the water like bouncy castles and slides. Also, there is a choice of hotels around if you wish to be in a walking distance from a beach and lively village at the same time. Logaras is a continuation of the neighbor fishing harbor of Piso Livadi which is 300 meters away. It is relatively large and sandy, mixed with tiny pebbles around the shore. Lined with small hotels and high trees, it is calm in the evenings, in contrast to Piso Livadi where the seafood tavernas around the harbor attract hungry tourists day and night. 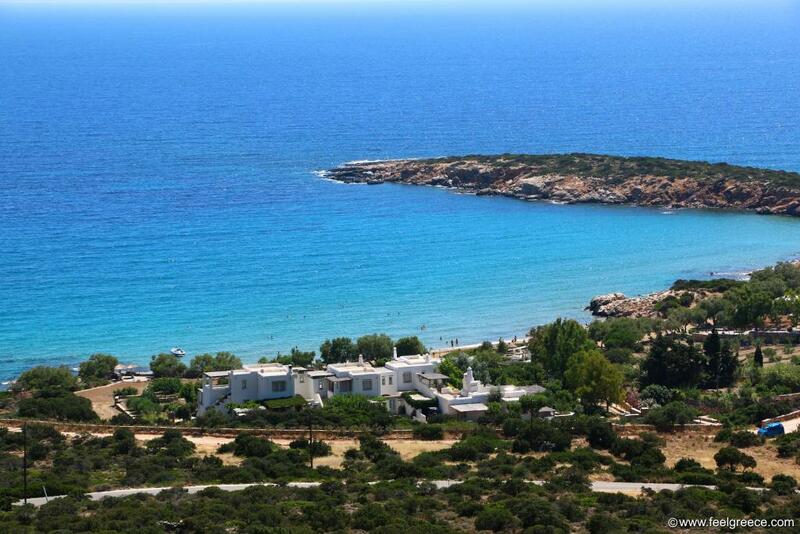 The Blue-flagged Chrissi Akti, better known as Golden beach, occupies a large bay on the southeast coast of Paros. Although famed for the windsurf facilities and schools, it is not always so windy and has a few nice beach bars. The sand feels velvety soft below the feet and the sea slopes gently. Monastiri beach has isolated location but this is not a hinder for anyone. You can reach it both by car within short drive from Naoussa, and by boat taxis- again from the harbor of Naoussa. It is a small sandy bay surrounded by cliffs and located on the territory of nature park. The sea is very shallow around the shore and water is clean and transparent. The name Monastiri comes from the Monastery of Agios Ioannis built on a rock just next to the beach. Farangas (also Faragas) is one of the more secluded beaches on Paros, with fine sand and a cluster of trees reaching the sea. It is actually a series of small coves next to each other, the largest being about 100 meters long. In the past it was hardly known to holidaymakers but now it has a small beach bar. The narrow rocky promontory next to Farangas is suitable for snorkeling. Beautiful beach with weird rock formations and sand soft between them. Waves are very rare. Sadly, it gets more and more crowded each year so the best time to see it is either in the beginning/end of the season, or early in the morning, otherwise you will find space for your beach towel only on the rocks. Kolympithres lies very close to Monastiri and can be reached by boat taxi from Naoussa which is one of the most popular villages on Paros. You can also visit it by car via the coastal road. Do not allow the large smooth pebbles to drive you back - they cover only half of the beach. The rest is sandy both on the shore and in the sea. 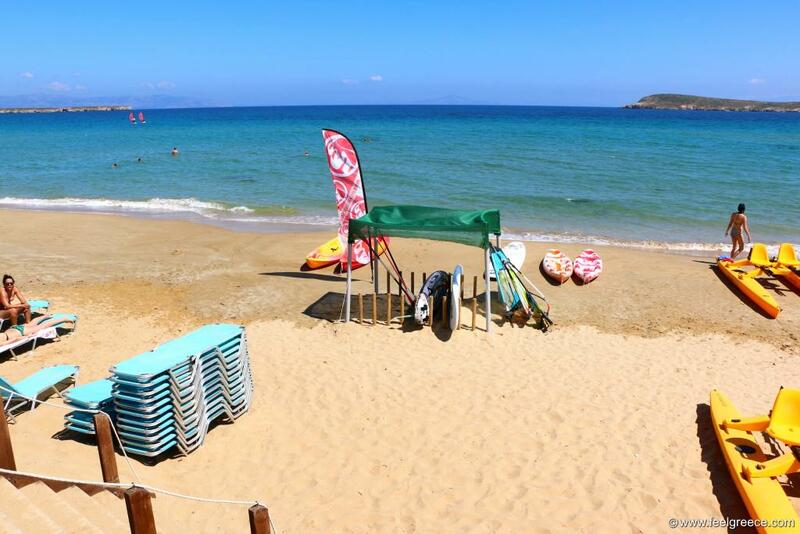 Agios Nikolaos Alikis is located in the outskirts of Aliki and it is a quiet place to sunbath and swim. 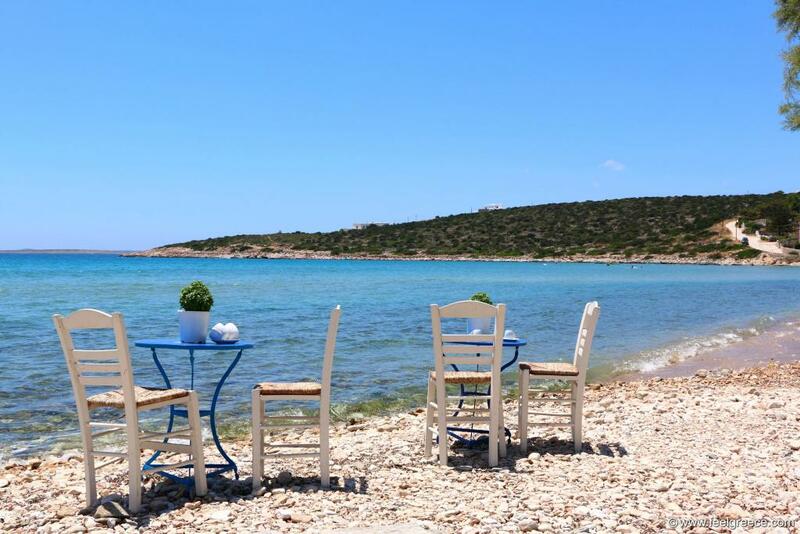 In the pebbly area there are a few high trees under which a seaside taverna has placed tables and chairs. Suitable for young travelers, groups of friends and families with kids, Santa Maria is a beach bar destination. It consists of a few coves, as the larger of them are organized and provide plenty of sunbeds to rent for a small charge. The sea is shallow around the shore, the water is very blue and the beach overlooks the island of Naxos which looks very close from here. Like Chrissi Akti, the negative of this place is that it may get very windy in July and August. The smaller coves known as Mikri Santa Maria are more sheltered from winds because of their location - they are in the same bay with large Santa Maria beach but lie opposite it. This is for those who really want to escape the crowds and other people on the beach. Well, there may be someone else on Molos, too, but the beach is vast and for sure they will be away enough. The area around Molos is Natura 2000-protected and that is why there are not many buildings, although the south end of the beach has a small seaside taverna, a church and a few houses. This part of Molos is also known as Maramara - the name of the closest village. The beach lies in a large cove with two high hills from both sides and length of more than 1 km. Nearby is the Monastery of Agios Antionios which has panoramic view of Molos and the entire coast around.